I'm turning 40 this month and you get to SAVE! It's true, I'm going to hit the milestone birthday in November. To celebrate with you, my entire store is 40% off. That's all my kits, albums, templates and more! Stop by and see all the great deals! Wonderful Wednesday means HALF Off! 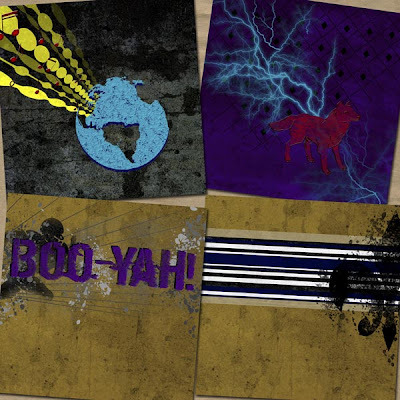 It's time to get scrappin' and to help you out, everything in my store is at least 50% off! Ready for Halloween? 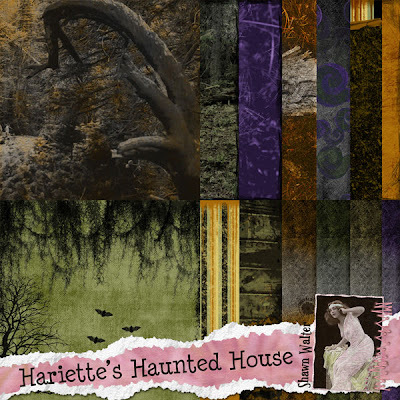 Pick up Hariette's Haunted House. Got teens? 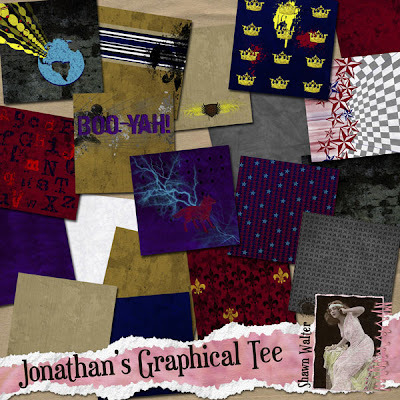 Check out Jonathan's Graphical Tee! Soccer? Sandis' Soccer Spectacular is what you need! VBS this summer? 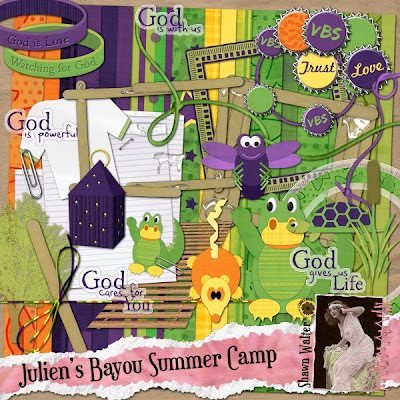 You should see Julien's Bayou Summer Camp! Need to get a few pages done QUICK before the kids get home? Templates are the way to go. And there is so much more! Be sure and check it all out today, because this sale is Wednesday only. Birthday Bash 5 means a GIFT FOR YOU! Digitals is celebrating its 5th birthday and you WIN BIG! 30% off store-wide. Amanda's famous Treasure Hunt plus other fun games. Chats, chats and more chats! 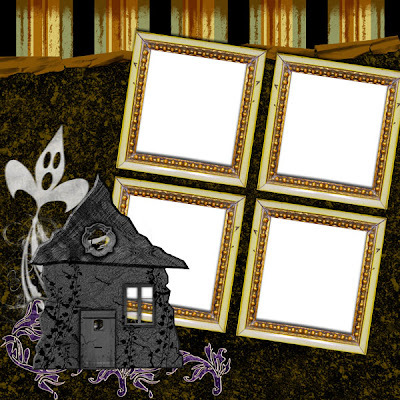 And, not just that but BLOG FREEBIES! 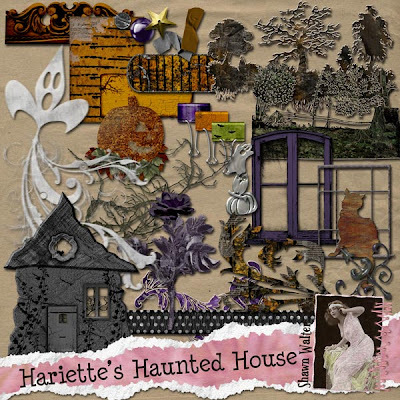 I'm giving you this wonderful 12x12" Halloween QP made with my Harriette H'ween kit. 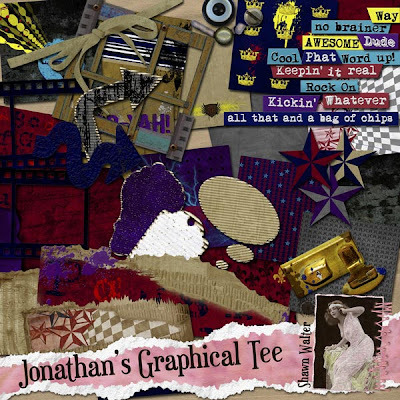 Brand new, in store and only $3, it's Jonathan's Graphical Tee! This kit is inspired by all the fantastic graphical t-shirts that are so popular. This kit is perfect for all the men in your life from Teens to Adults, Toddlers to Tweens. And don't forget the girls because they'll love these patterns too. Big, outgoing prints make scrapping a snap by being both background and embellishment! A bit leery of those big prints? No worries, there are lots of solids and some small prints as well. On top of that, there are so many, many fabulous embellishments that you are sure to find what you need! As an added bonus, there's a free 12x12" Quick Page in the kit download too. Pick it up today! It's true, another Blog Train has left the station! Join Digitals in collecting outstanding freebies from fabulously talented designers. 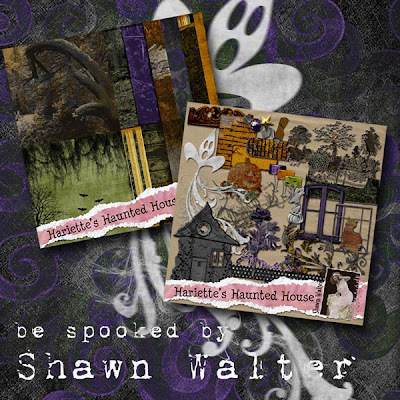 Each day stop by each blog and pick up your freebie. But be diligent because these freebies are only available for 24hours starting at midnight eastern time. 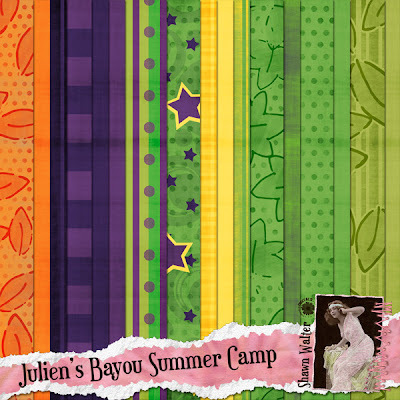 I will be offering a 12x12" Quick Page each day created from my Julien's Bayou Summer Camp Kit! The Julien Kit is available in my store for only $3 but the QP is free :) And while you are visiting the store, check out my other selections, they are all 30% Off! And finally the QPs, download today's here. 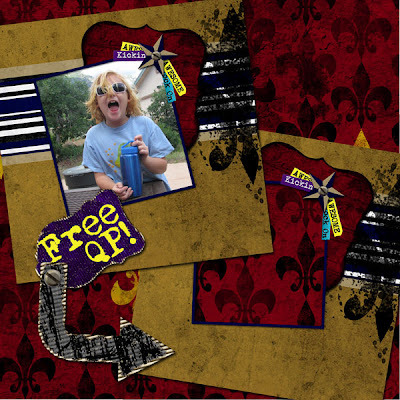 If this doesn't give you enough Julien QPs, be sure and check out the Quickies Challenge. Submit a QP and receive all the QPs everyone submits using that kit for FREE! 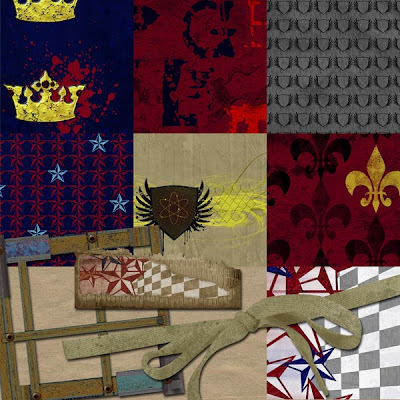 All the details in the Quickies Challenge Forum! Now, go and visit these other blogs and pick up more fabulous freebies!